In 2013, soon after Lindsay Cooper passed away, Matthew Watkins made a call for arrangements of ‘Slice’ for a special edition of his podcast ‘Canterbury Sans Frontières: Episode 8’. I made a transcription of the piece and recorded it for solo clavichord. Chris Cutler and I also played it a few times when we were both in Japan and NY. 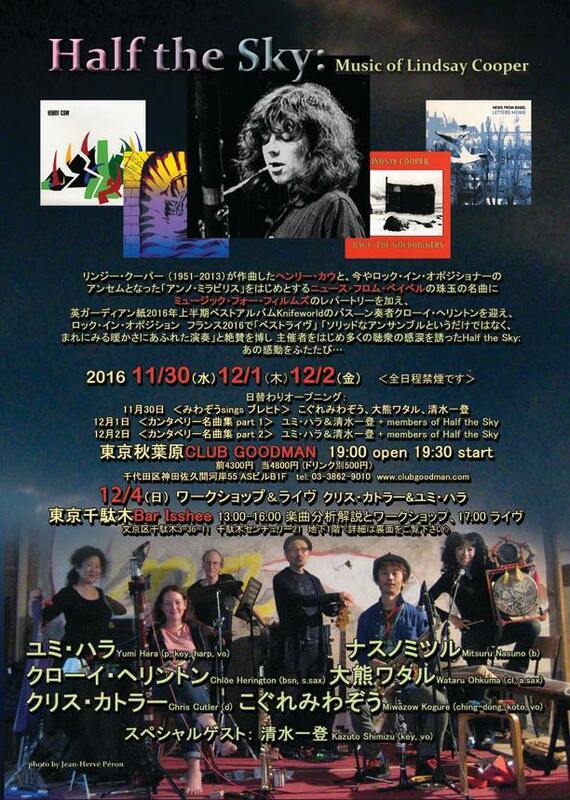 Soon after, inspired by the three memorial concerts Chris organised in 2014 with the original bands, I put together Half the Sky (‘Women hold up half the sky’) to play Lindsay’s music in Japan. 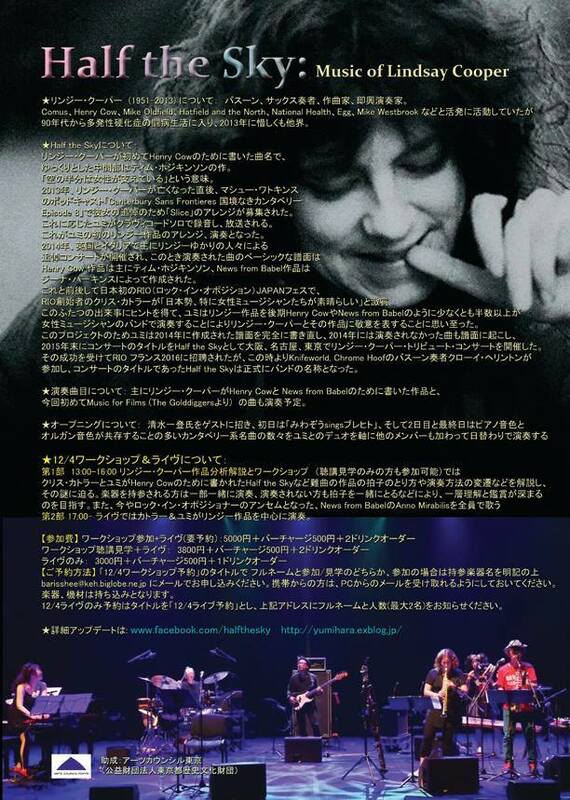 In its constitution, Half the Sky follows her general practice and the example of the original bands, Henry Cow (50% female) and News from Babel (75% female).